Career advancement refers to the upward progression of one's career. An individual can advance by moving from an entry-level job to a management position within the same field, for instance, or from one occupation to another. Climbing the corporate ladder within the same occupation may be the result of gaining experience and possibly completing additional training. When one advances by changing careers, that person may transition to a related profession that has greater educational requirements and responsibilities. One example would be a physical therapy aide who goes to school to become a physical therapy assistant. The first job requires just a high school diploma and the second, an associate degree. When exploring an occupation you are considering, learn about the advancement opportunities that will be available after gaining experience. If you crave new challenges and increasing responsibilities, a career that lacks growth opportunities will become dull over time. Career dissatisfaction will soon follow. If there is no room to move up, you may have to move out. 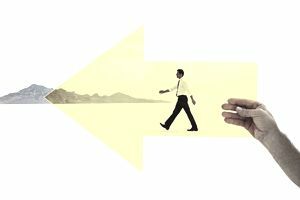 Career change isn't easy—it takes time, energy, and money—which explains why many people are stuck in dissatisfying careers. It is better to know up front whether opportunities for growth lie ahead. When reading a description of an occupation, look for information about advancement opportunities. Conduct informational interviews with people who currently work in the field, particularly individuals with a lot of experience. Ask them how their careers have progressed since they started working. How did their entry-level jobs differ from what they are doing now? Inquire about what they expect to be doing in the future. Do they have hopes of climbing the organizational ladder further or are they worried they are in a dead end job? Also, ask the people you interview about their aspirations. Not everyone who has the opportunity to advance will take advantage of it. Remember, too, that the presence of the opportunity to move up, doesn't necessarily mean you will have a boss who will give you the chance to grow. To progress in your job, you may have to find a new one that offers you mobility. Ask your boss for more challenging projects. Doing this will let you demonstrate your willingness to take on more responsibility and give you a chance to prove your ability to handle it. Regularly check internal job listings for higher level positions and apply to those for which you are qualified. Make sure to be honest with yourself when assessing your abilities. Some people tend to underestimate their qualifications while others lean toward overstating theirs. Offer to help colleagues, including your boss, with complicated projects. Doing so will illustrate that you are a team player and willing to step up to when needed. Ask someone with more experience, for example, your mentor, for advice about career advancement. He or she will be able to give you helpful pointers. Getting guidance about matters like this is one of the best reasons to have a mentor. If you don't have one already, try to establish that relationship as soon as possible. Find out what additional training and certifications can help you advance in your career and then pursue them if possible. Inquire about your employer's tuition reimbursement policy which can provide financial assistance for additional training, including a degree. Is There Anything Wrong With Being Happy Where You Are? Should you feel bad if you don't dream of career advancement? No. You should not. Some people are happy staying right where they are, and there's nothing wrong with you if you feel that way. It doesn't make you lazy or unmotivated. It is possible to work as hard, or even harder, in entry-level positions than in higher ones. The self-awareness that you aren't management material is no less important than the realization that advancement is essential to your career satisfaction. Know, however, that a lack of desire for career advancement, doesn't necessarily mean you will never become bored with your job. If that happens, consider making a lateral move within your organization, which involves moving from one position to another with different duties but a similar level of responsibility. Unfortunately, this type of transition probably won't come with a salary increase as a promotion would.